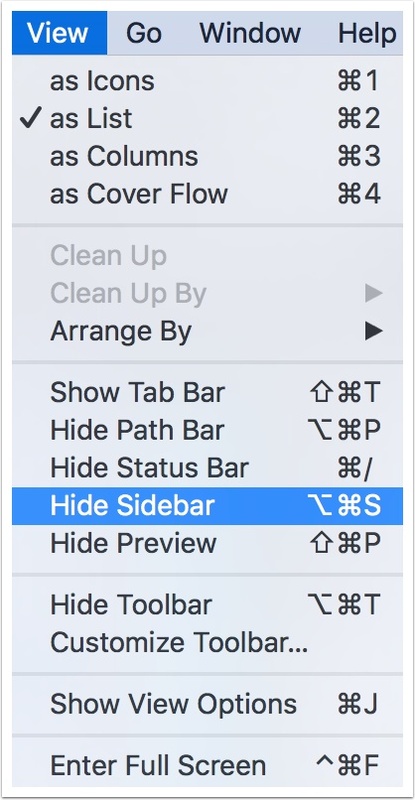 I’ve got some pretty useful tips you should know for making Finder’s sidebar look a lot neater if you’re so inclined. 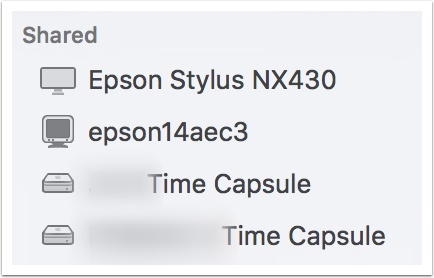 I mean, if you never use AirDrop, All My Files, or iCloud Drive, you shouldn’t have to see them whenever you open a Finder window, right? Right. So first, you can drag some individual items like the ones I just mentioned out of the list to remove their shortcuts. 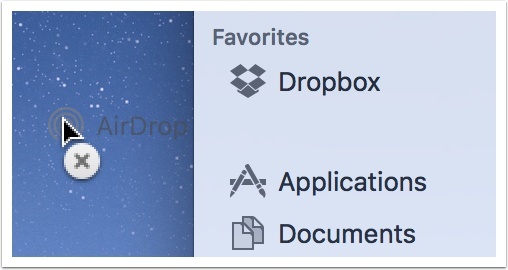 See you in…well, see you on the other side, AirDrop. Secondly, hovering over any of the subsections (like Favorites, Devices, or Shared) will let you hide the items within it without removing anything. 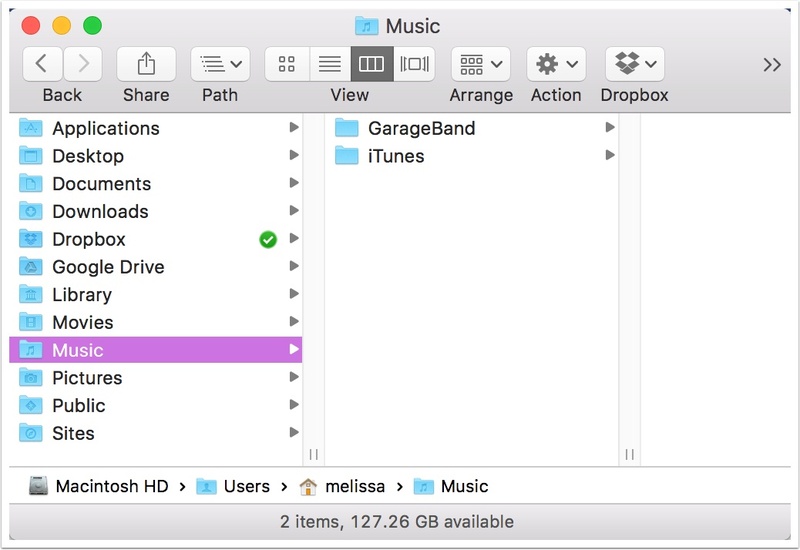 Finally, you could also go to Finder > Preferences > Sidebar and uncheck anything you don’t want showing up. 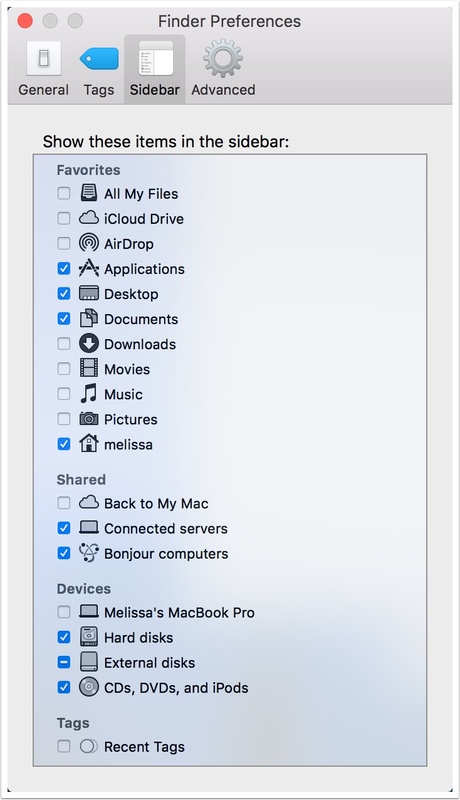 This is an easy way, for example, to get rid of that messy list of other devices on your network that populates under the “Shared” section (by deselecting the “Bonjour computers” option within the preferences above). And just because you guys rock (and hey, I’m feeling all festive and crap because of the holidays), here are a couple of other nifty sidebar tricks. 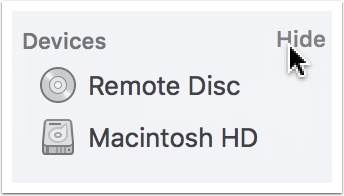 Did you know that you can change the size of your icons under System Preferences > General? Whoa. When Apple says “large,” they mean it. Additionally, you can hide the sidebar completely under the “View” menu if you wanna. This is kind of the ultimate cleanup, isn’t it? I have to admit that Finder looks kinda weird to me that way, though. Yep, definitely weird. Apple has trained me well.